Yes, these blooms are a bit late - in the peony season and for Valentine's Day, but better late than never! This is the third part of a three-part series of peony "Bouquet on the Bush" photos from my bloom season last year. If you missed the first and second parts of this series, be sure to check them out, 2017 Peony Bloom Clusters - Early Season and 2017 Peony Bloom Clusters - Mid Season. Peony 'Guidon' has always been a favorite of mine. 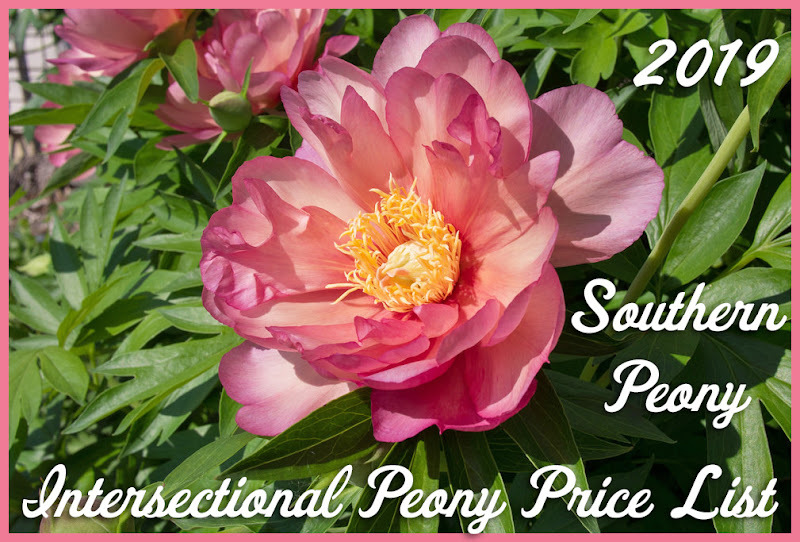 It has always been an easy bloomer, and Peony 'Guidon' is also a Southern Peony Best Performer. It is not uncommon for this gorgeous looker to have 4 or 5 blooms on each stem. It is also a very nice shade of lavender pink that just catches your eye. The only downside to this beauty is that its blooms are so large, and there are so many of them, if a rain storm is approaching, you should pick them all! These flowers would be perfect for a real bouquet! Peony 'Top Hat' is another peony with 4 or 5 blooms on each stem. Although the flowers are not as large as Peony 'Guidon's', the less weighty blooms allow them to stay upright on their own for the most part. Also the flowers have sharply contrasting, bright and pale colors that are exciting to see. The bright fuchsia pink guard petals open to reveal a mixture of pinks and yellows that beget a pale orange coloring. Peony 'Vivid Rose' is a stalwart of the late peony season garden. 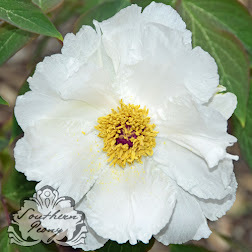 It always blooms reliably very late in the season, and is a nice addition to extend your peony bloom season. It is a pretty fragrant pink double peony (if you fancy that sort of thing) ;-) I hope you've enjoyed these peony "Bouquets on the Bush" and hopefully gained a few ideas about some floriferous peonies for your own garden!